Wireless technology has changed the game for mobile networks and is set to brace itself for the next generation in telecommunications. 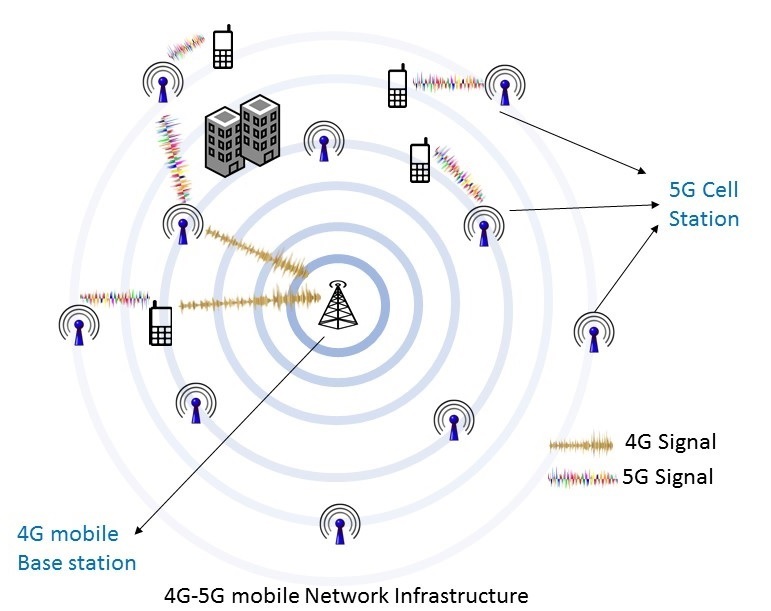 5G or fifth generation, is soon to arrive and is expected to bring higher data transmission speeds and different encoding methods making it extremely powerful and super quick. Over the years, each generation of wireless technology continues to improve data transmission speeds than the last. The latest of them is the 4G which was launched back in 2009 and uses various technologies including WiMax and Long-Term Evolution (LTE). As mentioned earlier, 5G is expected to be quicker and contain less lag between responses and actions. The expected internet speeds of 5G are to be around 10 gigabits per second (Gbps), which is almost 100 times faster than 4G. The latency is also a lot less than the 4G network. To put into perspective, a user of 5G could download a high definition feature-length movie in less than 5 seconds! As well as this, 5G is also expected to adopt the latest in the Internet of Things technology (IoT) which could have huge implications on the manufacturing industry for example, which use the technology for connecting their processes and factories digitally. Wired internet connections could also be a thing of the past with 5G as it looks to remove the cable for access to the internet for users. There are still some questions surrounding 5G’s implementation as a mainstream use and plenty of discussions are yet to be formed. It’s in every industries interest to make the most of the technology arrives, including those that are non-tech companies. For example, media and design agency manchester companies will feel as though it can benefit their consumers who will be able to stream their videos and content better if they had exposed access to 5G. Many countries have also took the step to trial the technology, including South Korea, China and the U.S. Telecommunications companies are expected to invest heavily in the technology as they look to build communication towers within rural spots and mobile hotspots in urban areas. There will also be a need for companies to invest in systems to manage the surge in data traffic. This is because 5G will demand higher bandwidth with data volumes increasing. 2019 is the expected time when the exact bandwidth spectrum will be settled. Experts in the industry expect 5G to work off frequencies known as “millimeter waves”. Innovation incubators have been set up by many telecom companies around the development of 5G technology. This helps companies to prototype ideas to incorporate into their future planning rather than reaching out to U.S. based venture companies where this type of innovation typically stems from. What Opportunities Lie Within 5G? For many businesses, 5G provides new source of revenue from new avenues from IoT such as smartwatches and other wearable items which can connect to 5G networks. It can also lead to the consolidation of wireless technology and equipment which can contribute to the goal of standardising the use of 5G technology. 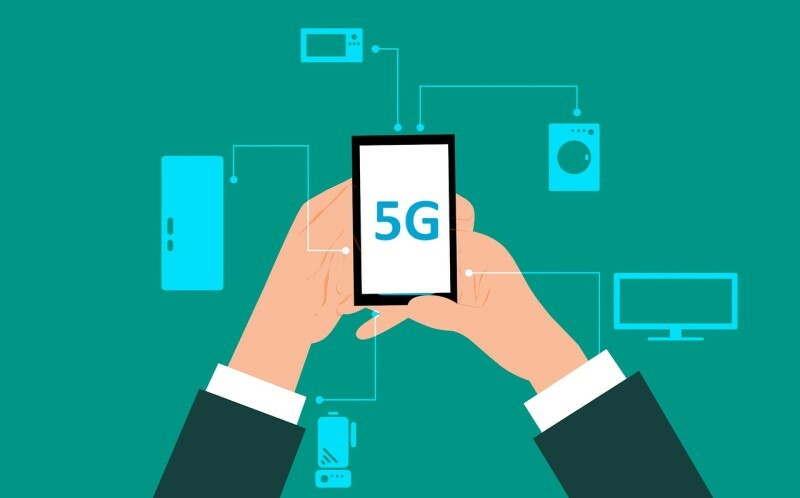 According to the American Institute Center of Research for Citizen Research, investing in 5G networks can generate over $530 billion over a 7-year period which means tech companies should look to make the most of research around the topic and delve into the investment of it, or risk losing out on its potential market value. Bio: Richard Meadow is a freelance writer that works closely with various tech websites. He is always interested in modern and advanced technology and enjoys writing about it.